Our company takes pride in offering our clients well researched, unbiased, high quality appraisal reports. ICI (Industrial Commercial Investment), Institutional, Development Land, Residential, Rural & Agricultural Land and Recreational Property Appraisals are the most common. Our investigations include examining company files, utilizing computer software and on-line data services and reconciling the evidence with a professional skill set, all in a timely and cost effective manner. Our mission to provide reliable, consistent, independent evaluations of real property, based on market knowledge and experience. We adhere to a strict code of ethics and standards set by the Appraisal Institute of Canada and the Royal Institute of Chartered Surveyors. Blake, Matlock and Marshal Ltd. truly endeavours to create and maintain responsible and profitable management of real estate. Our focus is to create a strong working relationship with corporations and investment bodies alike, in both the public and private sectors. Understanding the global and local nature of value and economics gives Blake, Matlock and Marshal Ltd. a distinct advantage in the appraisal marketplace. We service private individuals, corporate investors, insurance agencies, trust companies, major banks, secondary financial institutions and government bodies alike. Our insight coupled with our in depth experience, commitment to excellence and access to a diversified resource base, allows us to satisfy the needs of growing companies, organizations and individuals whose needs are increasingly being expressed on national and international fronts. Mortgage financing, purchase or sale, investment, taxation, planning, expropriation, relocation, matrimonial dispute, estate planning ans cash-in lieu of parkland are the most common requirements for an appraisal report. 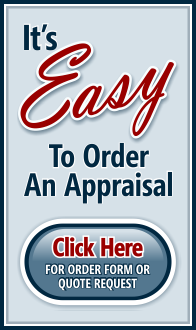 The entire appraisal process is treated with complete discretion, objectivity and fairness. Our credentials lead the industry with the high profile AACI designation (Accredited Appraiser of the Canadian Institute), the top accreditation available in Canada, and the MRICS designation (Member of the Royal Institute of Chartered Surveyors), offered globally to those nominated and accepted for having the highest standards in the field of real estate and valuation. These credentials allow us to value all forms of real estate professionally. Industrial – Commercial – Investment appraisals must be completed by a fully accredited person with an AACI designation. There is a wide range of users for this type of appraisal report: Developers, lenders, homeowners, realtors, investors, lawyers, landlords, farmers, governments, bankruptcy trustees, accountants, sellers and purchasers all need to make decisions based on the credible value of a property. These appraisals can only be performed by a fully accredited person with an AACI designation. Property types normally include churches, religious camps, government properties, park land and school properties etc. An AACI designation is required to appraise development land, often requested to determine both the present value and the future value of the land for a project. An in-depth highest and best use analysis is usually required in that regard, often requiring a review of density, use and income capabilities as well s an examination of building value, if any. Residential appraisals may be completed by a person with an AACI (Accredited Appraiser Canadian Institute) or a CRA (Canadian Residential Appraiser) designation. Our company is approved by all major banks and is posted on most financial institution’s approved appraisers list. Residential appraisals are usually required for purchase and/or sale, financing, divorce and an array of other intended purposes. Rural and Agricultural properties with large acreages or farms must be appraised by a fully accredited person with an AACI designation. These appraisals tend to be more complex than standard urban appraisals, as the properties are usually contain issues, such as severance, tile drainage and workable land where alternative investigations are often required. These appraisals maybe completed by a person with either an ACCI or CRA designation depending on the intensity of use. These properties are usually cottages, lakefront homes, camp sites, religious retreats and resorts. The appraisal may be simple or complex depending on the specific nature of the property, its type as well as the function of the appraisal. Studies are created for a number of reasons. Blake, Matlock and Marshal have prepared such reports for matters pertaining to arbitration, legal proceedings, cash-in-lieu of parkland, windmill development, hydro, railway, planning, feasibility and ground rent renewal, etc., all for different reasons and users. The results of these studies are often accepted, including future courses of action.